Joint pain affects millions of Americans every year and can lead to discomfort, functional issues, and severe disability. Understand the cause of your joint pain and get treatment to relieve the discomfort at River Oaks Chiropractic Clinic in Fort Worth, Texas. The team offers comprehensive, conservative care for all types of joint pain so you can recover and feel your best. Set up an exam today by calling the office. Your joints are complex structures that include many bones, ligaments, muscles, tendons, and other soft tissues — like cartilage — to perform movements and cushion your body as you move. Any type of injury, trauma, or wear and tear can affect your joints and lead to dysfunction, inflammation, and pain. The team evaluates all possible causes of joint pain in order to accurately determine your diagnosis and develop an appropriate treatment plan. What are the signs of a joint injury? You could find that your joint pain flares up during certain activities or at certain times of the day. This information can help your providers determine the cause of your condition. 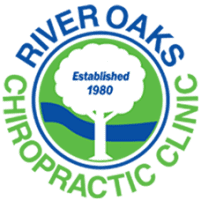 The River Oaks Chiropractic Clinic team always performs thorough consultations and exams to evaluate your joint pain. Their exams involve specific orthopedic tests to assess the structures in and around your affected joint, like cartilage, muscles, and ligaments, and movement tests to understand how your joint is functioning. In some cases, the team will refer you for X-rays or an MRI to confirm your diagnosis, especially in cases of severe arthritis or trauma. If you’re also experiencing functional issues with your joint, the team recommends appropriate stretches and strengthening exercises to help your joint return to normal. To get your joint pain evaluated by the River Oaks Chiropractic Clinic team now, simply call or click to schedule an appointment online.